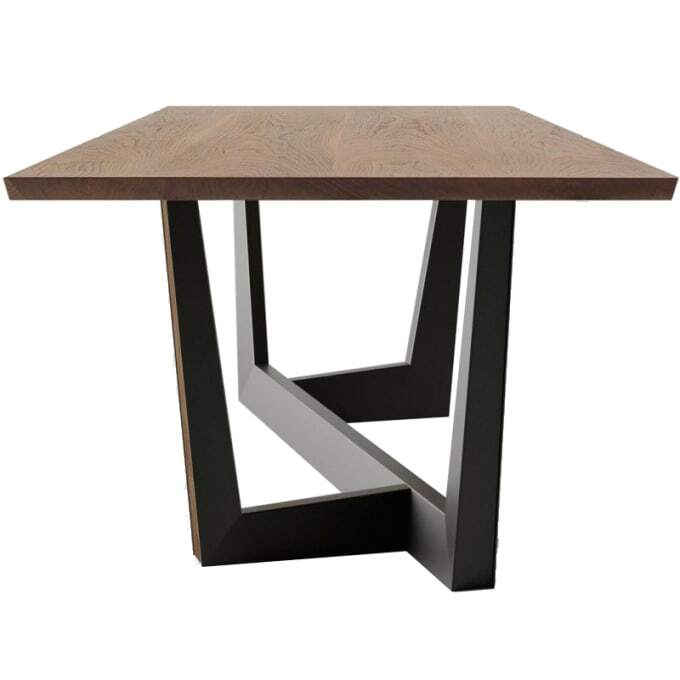 High-quality table with wooden table top and unusual diagonal metal trapezoid. This version comes with a solid wood table top and is available in several sizes. The Art table is the expression of a clear and rational design intuition, like the geometric shape which inspired designer Gino Carollo. A metal trapezium develops diagonally under the table top, allowing minimum obstruction and optimising the space. To ensure stability, the trapezium is supplemented with two legs which can be customised with inserts in the same finish as the table top. Do you have a question about "Art (solid wood)"? How can we contact you?